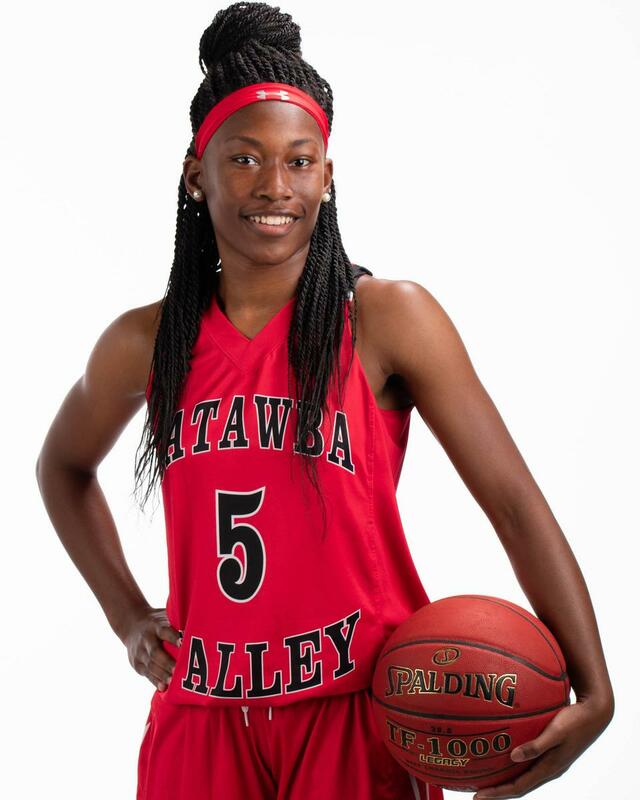 RALEIGH – Catawba Valley Community College’s women go for their 11th straight basketball win on Sunday when they face Lenoir Community College on Sunday. The Red Hawks won their 10th in a row on Saturday, belting Wake Tech 85-38 in a Region X game on the road. Seven CVCC players reached double figures in the win on Saturday, led by Milequa Eason’s 15 points. Danielle Rainey added 13, Ivy Eller and Aniya Taylor had 12 each, Sherry Johnson scored 11 and Zharia Brown and Taziah Hardin each scored 10. The Red Hawks improved to 18-3 overall and they are 12-1 in Region X under head coach Tisha England. Paced by 10 first-half points from Eller, CVCC led 39-4 by halftime. Johnson scored 11 of her points in the second half for the Red Hawks. Timia Grant paced the Eagles (11-10, 6-8) with a game-high 20 points.